Lt. Alford Joseph Williams was an officer in the United States Navy and a major proponent of aviation. Williams believed that air racing contributed directly to the development of front-line fighter aircraft. In 1923, Williams won the Pulitzer Trophy race and later established a new 3 km (1.9 mi) absolute speed record at 266.59 mph (429.04 km/h). In 1925, Williams finished second in the Pulitzer race, but his main disappointment was not being selected as a race pilot for the Schneider Trophy team. Williams was also not selected for the 1926 Schneider team. That year was a particularly bad showing from the United States despite its advantage of hosting the Schneider contest. The Kirkham-Williams Racer was built to compete in the 1927 Schneider Trophy contest and to capture the world speed record. Note how the large Packard X-24 engine dictated the shape of the aircraft. Williams could see that racing was not a priority for the US military and decided to take matters into his own hands. In late 1926, Williams sought the support of investors to build a private venture Schneider racer. Since the US had won the Schneider Trophy two out of the last three races, another win would mean permanent retention of the trophy. Williams received further support from various departments in the US Navy, and the Packard Motor Car Company (Packard) was willing to design a new engine provided the Navy paid for it. On 9 February 1927, the US government officially announced that it would not be sending a team to compete in the 1927 Schneider race, held in Venice, Italy. The plans that Williams, the Navy, and Packard had implemented moved forward, and a syndicate to fund the private entry racer was announced on 24 March 1927. 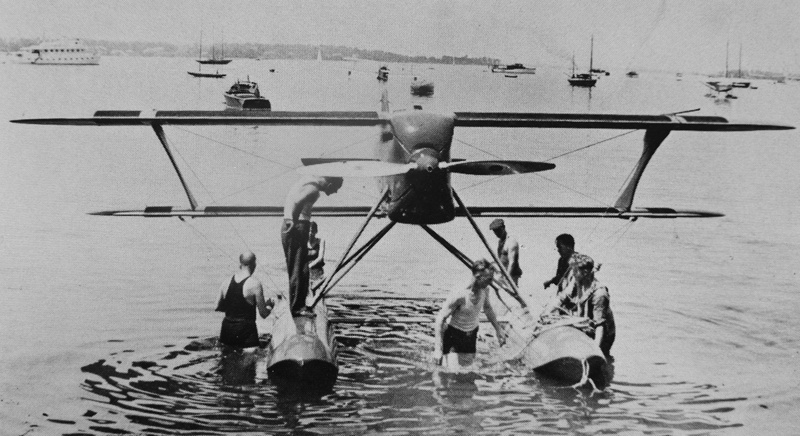 The Mercury Flying Corporation (MFC) was formed by patriotic sportsmen for the purpose of building the racer to compete in the 1927 Schneider Trophy contest, with Williams as the pilot. Although the US government was not directly supporting MFC’s efforts, the US Navy was willing to lend indirect support by transporting the racer to Italy and providing a Packard X-2775 engine for the project. The X-2775 (Packard model 1A-2775) was a 1,200 hp (895 kW), water-cooled, X-24 engine that had been under development by Packard since 1926. The engine was a result of the talks initiated by Williams for a power plant intended specifically for a race aircraft. Ultimately, the engine was covered under a Navy contract. The X-2775 was one of the most powerful engines available at the time. The racer had some 690 sq ft (64.1 sq m) of surface radiators covering its wings. Fluid flowed from a distributor line at the wing’s leading edge, through the tubes, and into a collector line at the wing’s trailing edge. Tests later indicated that the protruding radiator tubes doubled the drag of the wings. Williams had decided that the racer should be designed along the same lines as previous Schneider racers built by the Curtiss Aeroplane and Motor Company (Curtiss). MFC contracted the Kirkham Products Corporation (Kirkham) to design and construct the racer. Kirkham’s founder was engineer and former Curtiss employee Charles K. Kirkham, and a number of other former Curtiss employees worked for the company, such as Harry Booth and Arthur Thurston. Booth and Thurston had been closely involved with the racers built at Curtiss. The aircraft was named the Kirkham-Williams Racer, but it was also referred to as the Kirkham-Packard Racer, Kirkham X, and Mercury X. The Kirkham-Williams Racer was constructed in Kirkham’s faciality in Garden City, on Long Island, New York. The biplane aircraft consisted of a wooden fuselage built around the 24-cylinder Packard engine. The engine mount, firewall, and cowling were made of metal. 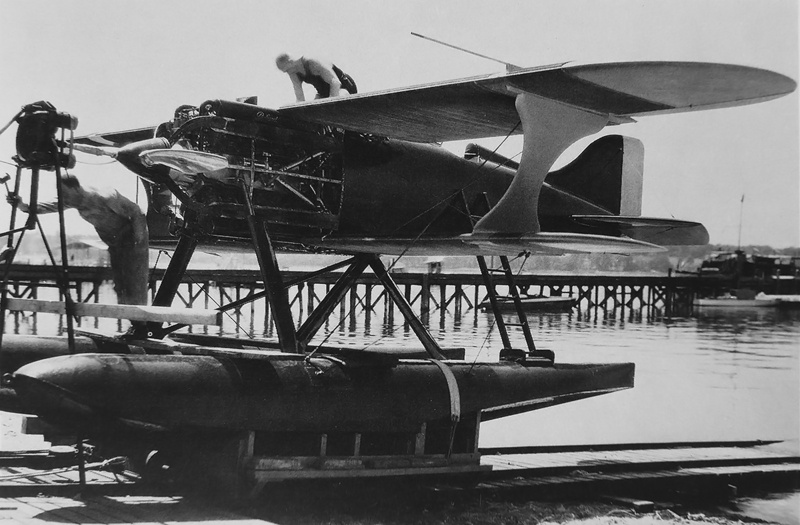 The upper and lower surfaces of the wooden wings were covered with longitudinal brass tubes to act as surface radiators for cooling the engine’s water and oil. The specially-drawn tubes had an inverted T cross section and protruded about .344 in (8.73 mm) above the wing, creating a corrugated surface. The tubes were .25 in (6.35 mm) wide at their base and .009 in (.23 mm) thick. Around 12,000 ft (3,658 m) of tubing was used, and the oil cooler was positioned on the outer panel of the lower right wing. The water or oil flowed from the wing’s leading edge to a collector at the trailing edge. The aircraft’s twin floats were also made from wood and housed the racer’s main fuel tanks. The floats were attached by steel supports that were covered with streamlined aluminum fairings. The forward float supports were mounted directly to special pads on the engine. The cockpit was positioned behind the upper wing, and a headrest was faired back along the top of the fuselage into the vertical stabilizer. A framed windscreen protected the pilot. A small ventral fin extended below the aircraft’s tail. The Packard X-2775 engine barely fit into the racer. The engine cowling mounted to arched supports running from the cylinder banks to a ring around the propeller shaft. The Hucks-style starter, powered by four electric motors, is connected to the propeller hub. Note that the forward float strut is mounted to the engine’s crankcase. The Kirkham-Williams Racer had an overall length of 26 ft 9 in (8.15 m). The fuselage was 22 ft 9 in (6.93 m) long, and the floats were 21 ft 3 in long (6.48 m). The upper wing had a span of 29 ft 10 in (9.09 m), and the lower wing’s span was 24 ft 3 in (7.39 m). The racer was 10 ft 9 in (3.28 m) tall and weighed 4,000 lb (1,814 kg) empty and 4,600 lb (2,087 kg) fully loaded. The aircraft carried 60 gallons (227 L) of fuel, 35 gallons (132 L) of water, and 15 gallons (57 L) of oil. The direct-drive Packard engine turned a two-blade, ground-adjustable, metal propeller that was 8 ft 6 in (2.59 m) in diameter and built by Hamilton Standard. A Hucks-style starter driven by four electric motors engaged the propeller hub to start the engine. Carburetor air intakes were positioned in the upper and lower engine Vees and were basically flush with the cowling’s surface. Packard was involved with the aircraft’s construction, and Williams was involved with the engine’s development. The Kirkham-Williams Racer was finished in mid-July 1927 and transported later that month to Manhassest Bay, on the north side of Long Island. Weather delayed the first tests until 31 July. Taxi tests revealed that the float design was flawed and caused a large amount of spray to cover the aircraft and cockpit. The spray resulted in damage to the propeller during a high-speed taxi test. In addition, the aircraft was around 450 lb (204 kg) overweight. Lt. Al Williams prepares the racer for a test on Manhassest Bay. The cockpit was designed around Williams, and he was the only one to taxi or fly the aircraft. Note the support running between the vertical and horizontal stabilizers. With the Schneider race just over a month away, little time was left to properly test the aircraft and transport it halfway around the world. Williams requested a postponement of the Schneider race for one month, but the British contingent declined the request. To make matters worse, Williams had been very optimistic about the aircraft’s test schedule and repeatedly promised an attempt on the world speed record. Issues with the Kirkham-Williams Racer resulted in a continual push-back of Williams’ proposed speed flights. 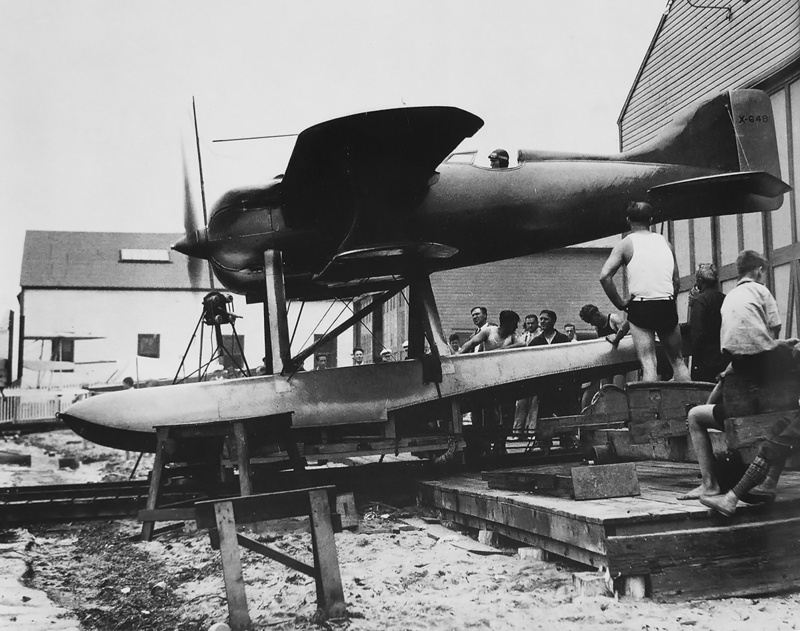 With a repaired propeller and new floats, the Kirkham-Williams Racer was ready for additional tests on 16 August. An oil leak and air in the water-cooling system caused Williams to cancel the day’s activities before any real testing had been done. On 17 August, high-speed taxi tests were finally sufficiently completed. Williams announced that the Kirkham-Williams Racer’s first flight would be the following day, but unfavorable weather caused that date to be pushed back. The racer’s first flight was on 25 August, and it should be noted that this was the first flight for the X-2775 engine as well. Some sources state that Williams made two speed runs at an estimated 250 mph (402 km/h). However, Williams stated that no speed runs were attempted on the first flight. While 250 mph (402 km/h) is an impressive speed for the time, it was most likely an estimation made by observers and not achieved over a set course. The second flight that day was cut short because of engine cooling issues caused by air in the cooling system. Williams is in the cockpit running up the X-2775 engine. The registration X-648 has been applied to the tail. The fuselage was painted blue, with the wings, floats, and rudder painted gold. Note the rather imperfect finish of the fuselage, just before the tail. Unfavorable weather resulted in more delays, and it was not until 29 August that Williams was able to take the Kirkham-Williams Racer up for another flight during a brief break between two storm fronts. Williams made a high-speed run, and the racer was unofficially timed at 275 mph (443 km/h). Later, Williams would say the speed was probably around 269 mph (433 km/h), but he and others felt the aircraft was capable of 290 mph (467 km/h). Weather again caused delays, and three takeoff attempts on 3 September had to be aborted on account of pleasure boats straying into the aircraft’s path and causing wakes. On 4 September, a good, extended flight was made, after which Williams reported the aircraft was nose-heavy and became increasingly destabilized at speeds above 200 mph. The issue was with the orientation of the floats. 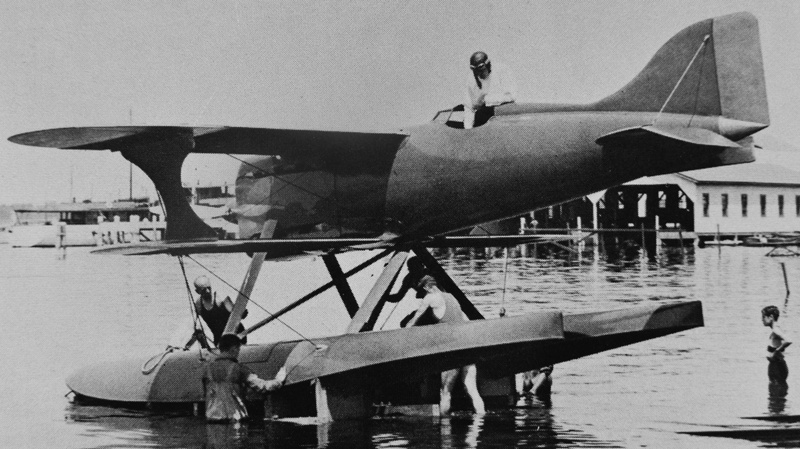 Modifications were made, and the aircraft flew again on 6 September. Williams reported improved handling, but some issues remained. The Navy had held the cruiser USS Trenton at the Brooklyn Navy Yard with the intention of transporting the Kirkham-Williams Racer to Italy in time for the Schneider contest, which was to start on 23 September. However, Williams cancelled any attempts to make the Schneider race on 9 September, citing the nose-heaviness and also float vibrations. Williams stands on the float, with work going on presumably to clear air from the cooling system, which was a reoccurring issue. The copper radiators covered almost all of the wing’s surface area. Note that the interplane struts protruded slightly above the wings. During the time period above, it was felt that the Kirkham-Williams Racer may not have been competitive, and Packard was asked to build a more powerful engine. In the span of 10 weeks, Packard designed, constructed, and tested a supercharged X-2775 engine. The Roots-type supercharger was installed on the front of the engine and driven from the propeller shaft. Liberal tolerances were used because of the lack of time, and the supercharger generated only 3.78 psi (.26 bar) of boost. The supercharged engine produced 1,300 hp (696 kW), which was only a slight power increase. The engine was not installed, because the minor gain in power was offset by the added weight and complexity of the supercharger system. 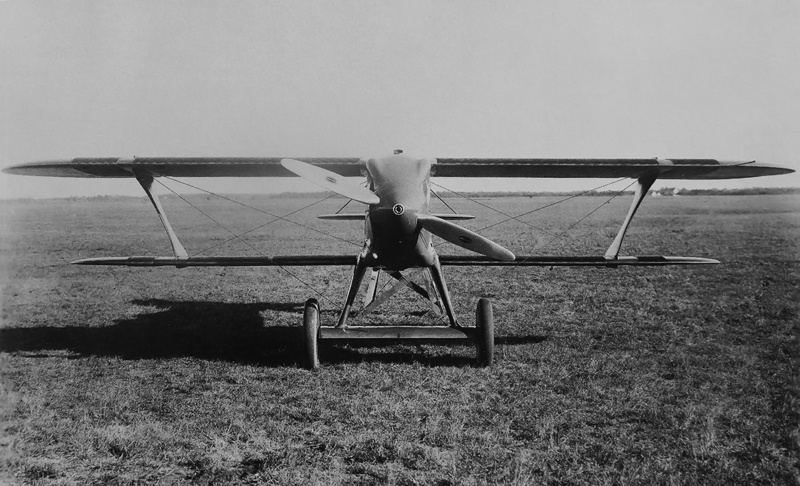 With the Schneider race out of reach, the Kirkham-Williams Racer was converted to a landplane with the intent to set a new world speed record. The floats were removed, and two main wheels attached to streamlined struts were installed under the engine. A tail skid replaced the small fin under the aircraft’s rudder. In addition, the X-2775 engine was fitted with a new cowling and spinner that gave the aircraft a more streamlined nose. Williams reported making four emergency landings in the racer at Mitchel Field, but the causes of the forced landings have not been found. 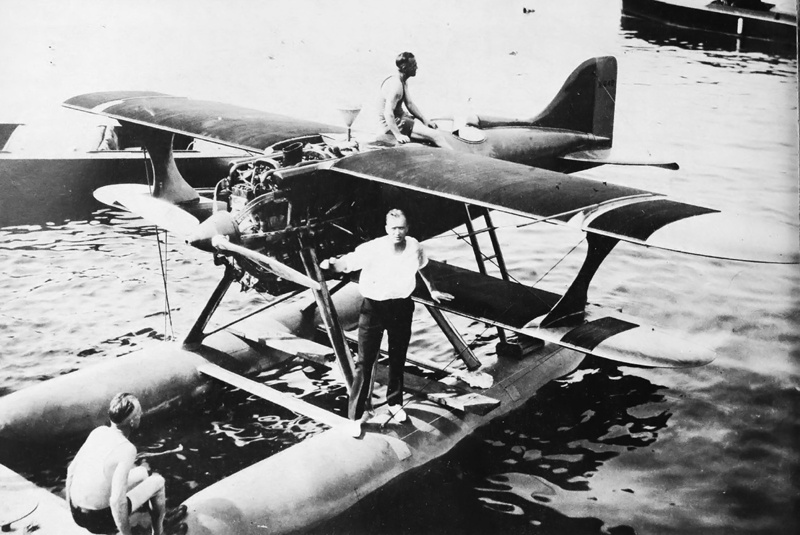 The aircraft was fitted with the same direct-drive X-2775 engine as the seaplane. The intake of the upper Vee engine section can just be seen above the cowling. The modifications to the Kirkham-Williams Racer were completed by late October 1927, and the aircraft was taken to Mitchel Field on Long Island, New York. Williams’ initial tests found the plane heavy with a landing speed of around 100 mph (161 km/h). Williams felt Mitchel Field was not an ideal place for experimental work with the aircraft, but the MFC did not have funds to seek a better location. Williams ended up making four forced landings at Mitchel Field in the Kirkham-Williams Racer. On 6 November, Williams flew the aircraft over a 3 km (1.9 mi) course and was unofficially timed at 322.42 mph (518.88 km/h). This speed was significantly faster than the then-current records, which were 278.37 mph (447.99 km/h) set by Florentin Bonnet on 11 November 1924 for landplanes, and an absolute record of 297.70 mph (479.10 km/h) set by Mario de Bernardi on 4 November 1927. Some were skeptical of Williams’ speed, especially since it was achieved in only one direction and with the wind reportedly blowing at 40 mph (64 km/h). Williams announced that an official attempt on the record would soon be made, but no further flights of the Kirkham-Williams Racer were recorded. Later, Williams stated that the racer’s still-air speed on the 6 November 1927 run was around 287 mph (462 km/h), which was much lower than anticipated. Williams had the aircraft disassembled and shipped to the Naval Aircraft Factory (NAF) in Philadelphia, Pennsylvania to further evaluate ways to improve the racer’s speed. A section of the wing was removed and tested by the National Advisory Committee for Aeronautics in their wind tunnel at Langley Field, Virginia. 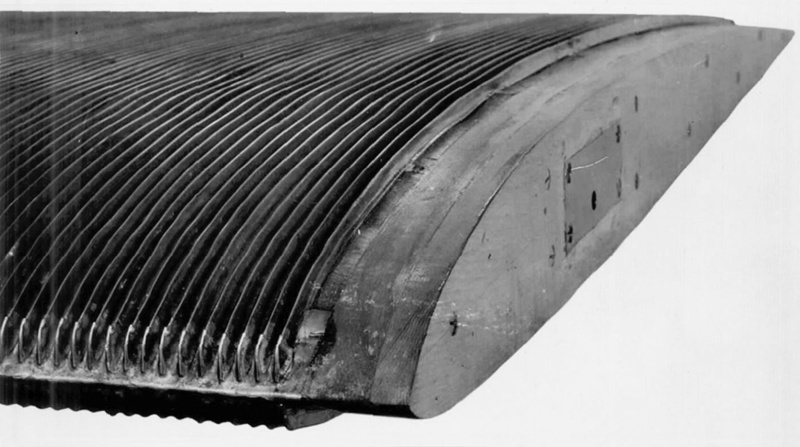 The test results indicated that the corrugated surface radiators decreased lift, doubled drag, and slowed the aircraft by some 20 mph (32 km/h). While at the NAF, the disassembled Kirkham-Williams Racer was used as the basis for Williams’ 1929 high-speed aircraft—the Williams Mercury Racer. 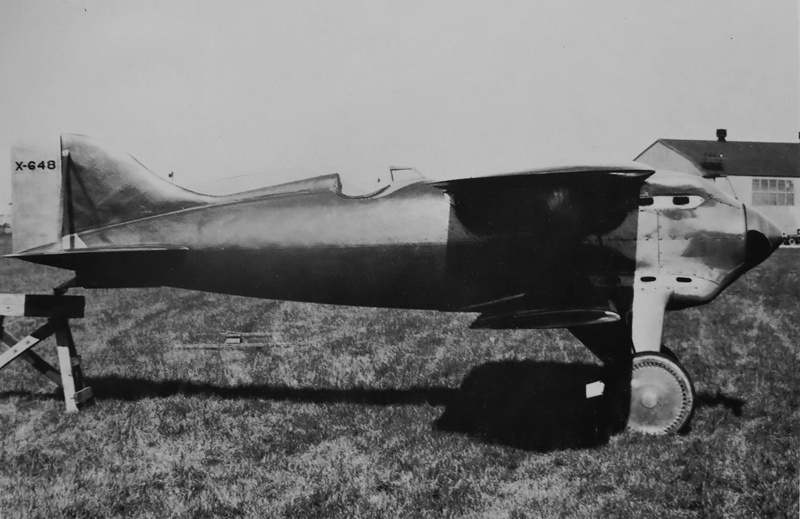 In landplane form, the Kirkham-Williams Racer had a more streamlined nose and an added tailskid. The machine looked every bit a racer and was one of the fastest aircraft in the world, even at only 287 mph. This entry was posted in Air Racing and Records, Aircraft, Between the Wars on 5 August 2018 by William Pearce.